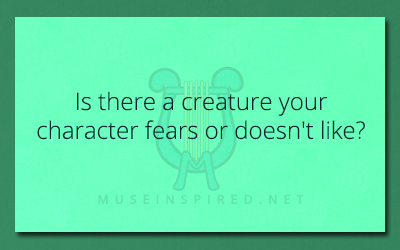 Character Development – Is there a creature your character fears or doesn’t like? Character Development - What was your character's first kiss like? Character Development - Your character witnesses a crime. Do they get involved?